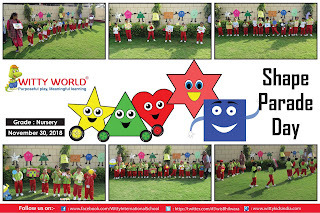 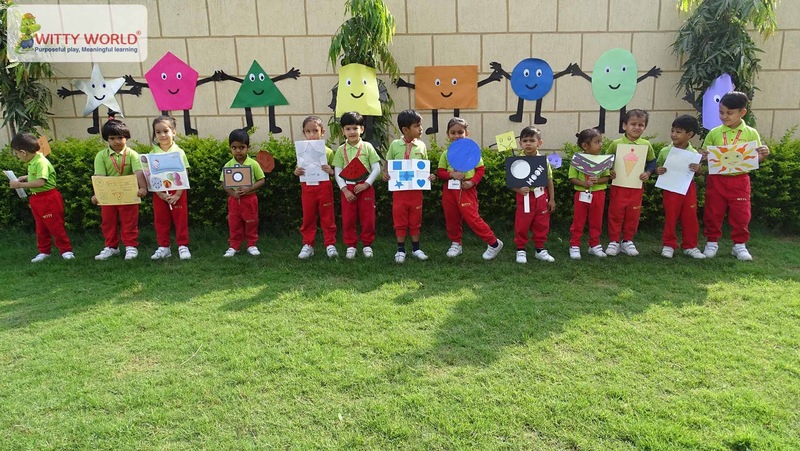 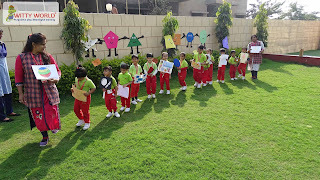 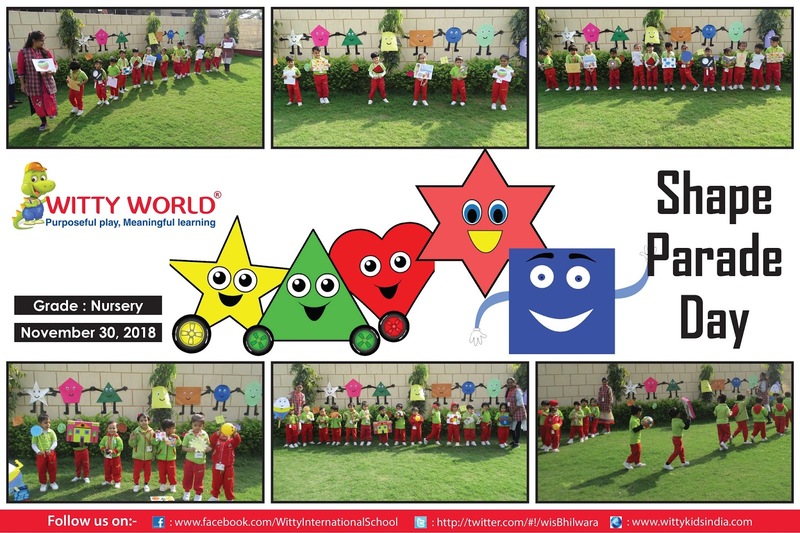 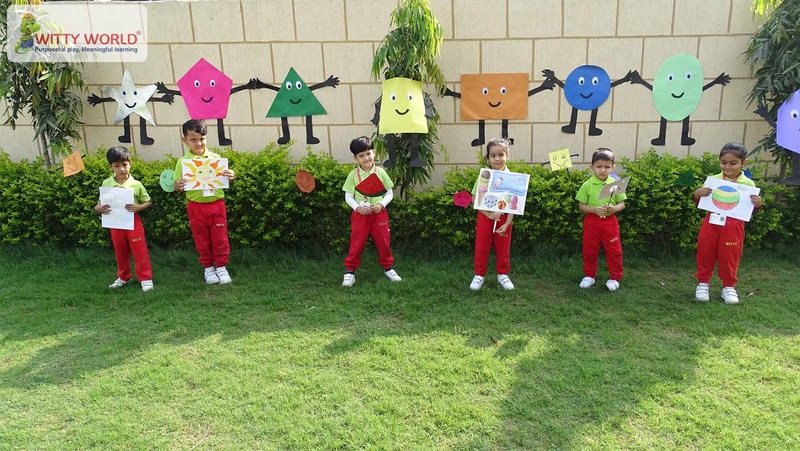 On Friday November 30’ 2018 children of Nursery class at Witty World, Bhilwara had “Shape Parade Day”. 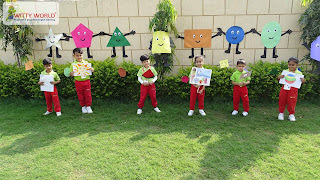 They brought different shaped toys, objects or placards from home made by themselves and showed it to their peers. 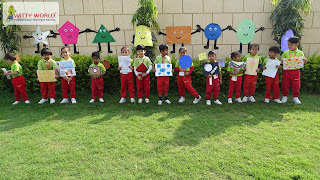 The teachers and the children then discussed about the shapes and the number of sides. 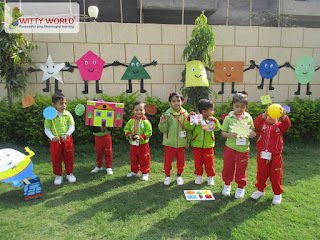 Children were encouraged to think creatively and identify the shape objects they had brought to reinforce the concept. 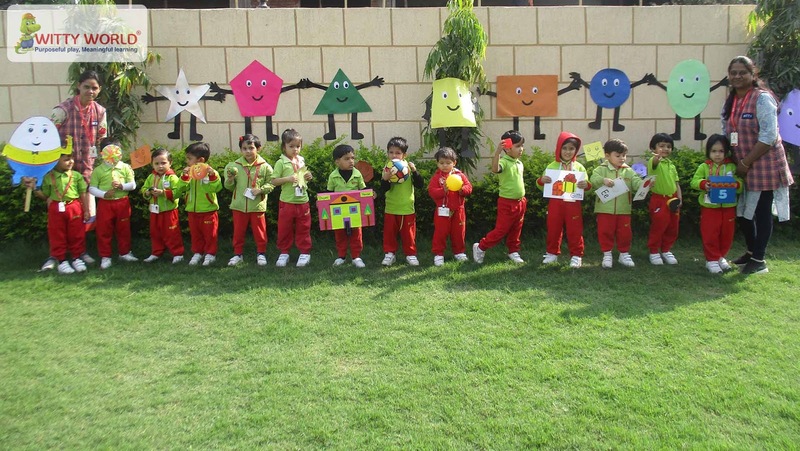 This activity boost the confidence in the young toddlers of Nursery to speak and enjoy.